Expression Guest Registry™ is a versatile digital registry that offers benefits to families, guests and funeral homes. Powerful software makes Expression an invaluable tool for your funeral home. 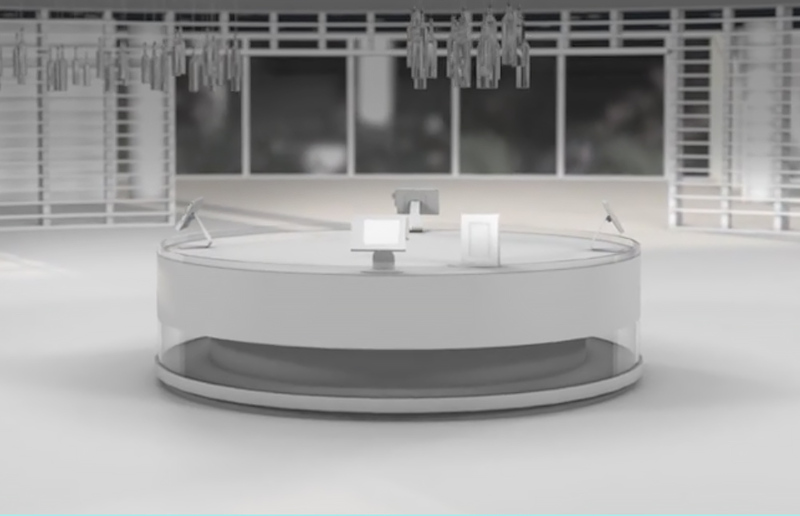 Expression allows you to reach out with emails to guests, generate pre-need leads, facilitate donations with credit cards, and design outstanding registry, memorial and heirloom products. 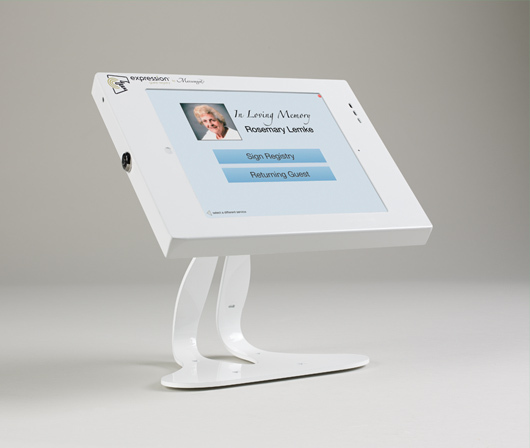 Expression Guest Registry is available in both tabletop and free-standing pedestal iPad enclosures. 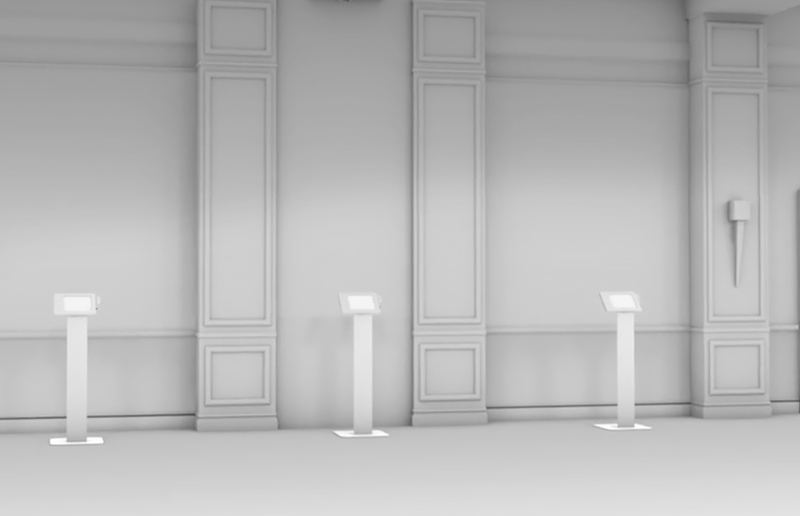 In addition to the choice of tabletop or pedestal enclosures, you can also choose between minimalistic white metal, or rich wood enclosures. Get started by choosing either Basic or Outreach maintenance agreement plans. Pick one of two maintenance plans. Both plans allow usage at up to three locations, for an unlimited number of services. Then begin maximizing family and guest experiences! = 2,400 potential email recipients per year! Our product offers many benefits to the families you serve to enhance your funeral home's reputation. Clean, legible and complete entries - families will find the register book more useful than ever using Expression Guest Registry. Expression can easily print mailing labels for the family to send thank-you cards - another valued added service. Families can even have a record of the floral tributes sent in honor of their loved one by using FloralXpress with Expression Guest Registry. With Xpress Donations, guests can contribute to a memorial fund via credit card, thereby increasing total donations received. It's never been easier, or more secure, for guests without cash or checkbooks to contribute to the designated memorial fund. Expression Guest Registry was designed by funeral directors for funeral directors. Its creators have decades of experience serving families at time of need. Optimizing the guest experience was our primary focus and end goal. Using this feature, previous visitors can use their email addresses to populate their names and addresses. We always recommend that a funeral home staff member be present to assist those who may need help. Computers may be efficient and effective, but they cannot fully replace that personal touch funeral directors provide. Our optional Outreach Component offers guests additional ways to support the family after the services. And with our optional credit card giving feature, Xpress Donations, it's never been easier, or more secure, for guests without cash or checkbooks to contribute to the designated memorial fund. 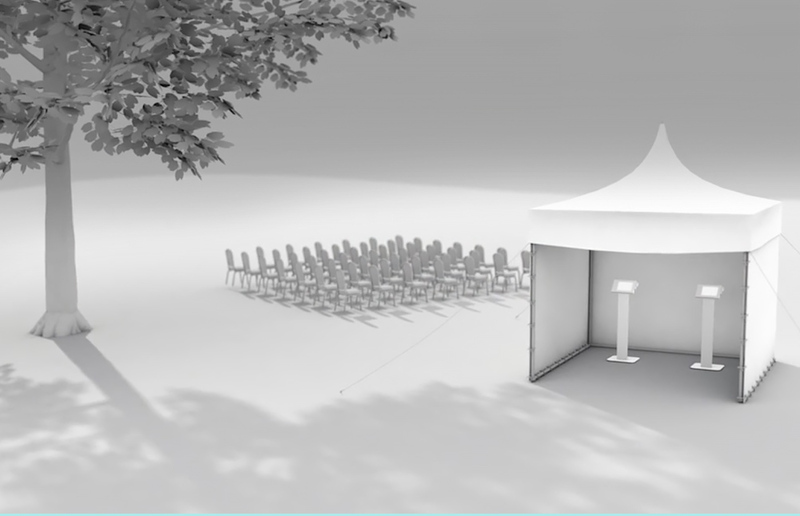 Our technology products offer your funeral home a 21st-century way to enhance your image and engage with guests in a whole new, and much more contemporary, way. By gathering concise information, your funeral home's database will grow, providing the tools to grow your business. For example, with Expression Guest Registry's Outreach Component, your staff can reach out to guests after the services. It's never been easier to establish new relationships, which can prove valuable in planning community events and other outreach programs. FloralXpress provides the simplest solution to producing a meaningful record of the floral tributes and their senders. And the optional Lead Generator is a simple, non-intrusive check box on the confirmation screen in which each guest can request information about your services.